To fix problems after iOS 9.3 update from iOS 9/9.2.1/9.1, you need to download iOS 9.3 13E237. This fixes iOS 9.3 problems like “Activation Server Unavailable” or “Unable to Activate” iOS 9.3 issues. I will guide you on how to fix iOs 9.3 Activation errors after upgrade from iOS 9/9.2.1/9.I will guide you on how to download iOS 9.3 13E237.This guide will fix the iOS 9.3 update problems in iPad 4, iPad Air, iPod touch 5,1,iPad mini 2,iPad 2, iPad mini ,iPad 3, iPhone 4s, iPhone 5, iPhone 5c, iPhone 5s . Much awaited iOS 9.3 is out for your favorite iPhones, iPads and iPods with a bulk amount of new features. The users who have upgraded their iDevices are not much satisfied with the latest iOS 9.3 update. After the recent update of iOS 9.3 to various iPad, iPhone and iPod devices, there appeared a numerous number of problems and upgrade issues. The reason is quiet not clear but it seems that Apple has released iOS 9.3 update for much older hardware so that all the other models of iPads, iPhones may face upgrade issues after iOS 9.3 upgrade. So obviously most of the devices have to wait for the next fixed version update to escape from all these problems after iOS 9.3 upgrade. Update:Download iOS 9.3 13E237 build to fix iOS 9.3 upgrade problems like activation errors. You can also downgrade iOS 9.3 to 9.0.2/ 9.2 /9.1 /9.2.1 to fix this error. The next fixed version will obviously be not so helpful for the devices which are already upgraded to iOS 9.3 and they are now facing issues with an activation error, iCloud issues, verification problems and web link failure issues, where a link can be clicked but it doesn’t navigate and additionally it brings some annoyances with some software update which is highly unwanted. So, here we will see some workarounds to troubleshoot the iOS 9.3 update issues. If you have an older iPhone/iPad hardware (older than iPhone 6 and iPad Air 2) and if you are yet to update it to iOS 9.3, I suggest you to wait for the fixed version of iOS 9.3. In case if you have already updated to iOS 9.3, to address the iOS 9.3 update issues such as the activation error issue on the older iPhone or iPad models, a patched version of iOS 9.3 is available for download, you can download the iOS 9.3 build 12E237 to fix the activation error for older iPhone/ iPad models. If you are experiencing issues after iOS 9.3 upgrade or iOS 9.3 upgrade problems, then here are some of the troubleshooting steps to work with to resolve some of the issues with iOS 9.3 upgrade. You can as well downgrade from iOS 9.3 to iOS 9.2.1 to escape from the iOS 9.3 update issues and problems. Most of the users are facing some Activation errors like Activation Server Unavailable or Unable to activate errors and the users who are facing this error can update to iOS 9.3 with some simple workaround. While updating to iOS 9.3, most of the users get stuck at the Activation screen showing the message Unable to activate error. We can actually resolve this using a simple trick which requires a Windows/Mac PC and iTunes. Download MovieBox for iOS 9.3 to watch movies on Mac OS X. Take the iPhone/iPad or the iPod which is facing Activation error after iOS 9.3 update, and connect it to the Windows/Mac PC. Download the latest iTunes for Windows/Mac PC and follow the below steps to fix the activation errors after iOS 9.3 upgrade. After installing iTunes, launch it on Windows/Mac PC. Then, select the connected device in iTunes, it will show up the Activate device screen where you need to enter the Apple ID and password. 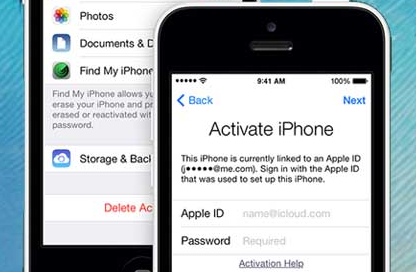 Enter your Apple ID and Password and click on Continue button to fix the Activation errors after iOS 9.3 update and to successfully activate the device. It is a simple workaround to fix the Activation errors like the afore mentioned Activation Server Unavailable after iOS 9.3 update and Unable to Activate errors after iOS 9.3 upgrade. To resolve the similar problems like verification errors, update unavailable errors, you can downgrade iOS 9,3 to 9.2.1/9/9.1/9.0.2.